soccerloco’s LOCO DEALS page is where the best soccer deals are found on the internet. This is the spot for the hottest deals on soccer cleats, balls, jerseys, and more. We are offering exclusive discounts on select items so you can celebrate your passion at a price you’ll adore. 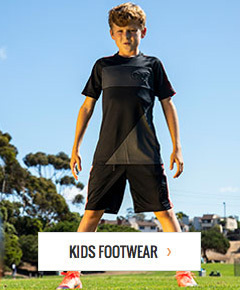 Everything is completely authentic from the best brands in the soccer industry, including: Nike, adidas, Puma, New Balance, Charly, SKLZ, G-Form, Storelli, KWIK GOAL and more... Get soccer's hottest products at the best prices right here at the soccerloco LOCO DEALS page.